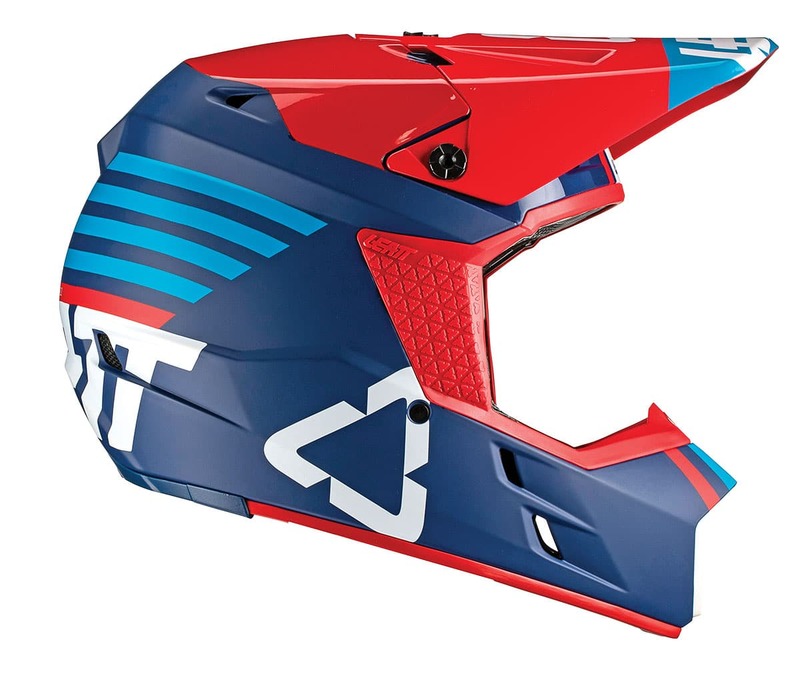 PRODUCT: The Leatt company builds its entire product line on the belief that safety is at the top of the food chain. Their high-end helmet line, the GPX 5.5, targeted head safety with their reduced outer shell volume via a 10-percent-smaller shell that transfers up to 20 percent less rotational forces to the neck, head and brain. They fit 360-degree Turbine technology into the design, which is said to reduce up to 30 percent of head impacts at the concussion level and 40 percent of the rotational acceleration to the head and brain. They sell for $399.99 to $499.99. Brand new to the lineup is the all-new GPX 3.5 helmet. It uses an injected polymer compound shell (as opposed to the composite shell on the GPX 5.5), but is fit with identical internals to fight head injuries. The 360-degree Turbine technology is the big technological feature that reduces both head impact at the concussion level (30 percent) and rotational acceleration to the head and brain (40 percent). Its $179.99 price point belies the high-end tech that goes into the design. 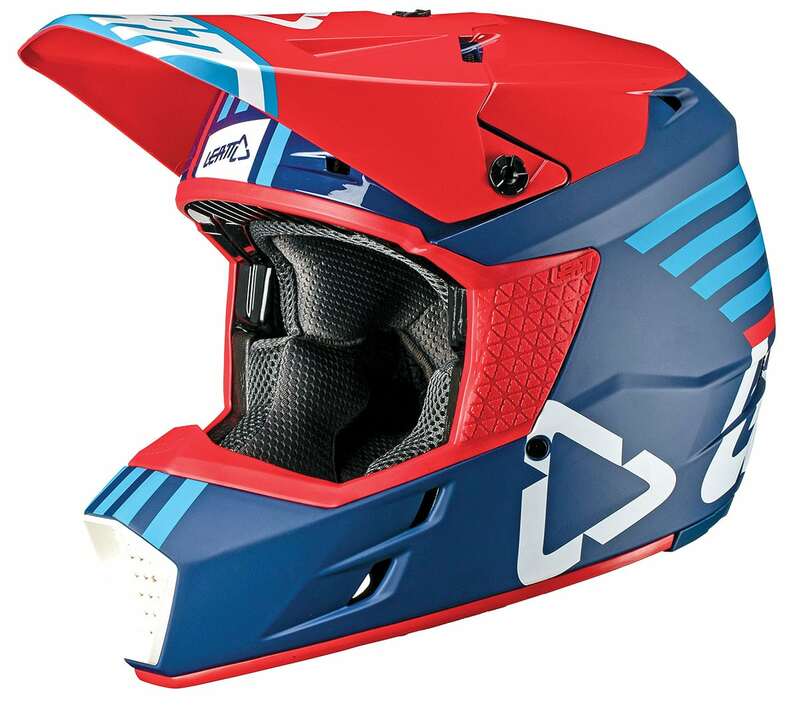 It’s actually lighter than a GPX 5.5, is neck brace compatible, has a visor breakaway, is heavily vented, has emergency cheek-pad removal, and is both ECE- and DOT-approved. OUR TAKE: We like this helmet. It’s light, (a skosh over 2.9 pounds for an XL), the fit is comfortable, the eyeport is large, and the visor is mounted high enough to not hamper vision. We would like it a bit longer, as misty conditions and low sun demand a good block, and the GPX 3.5 is high and a tad short to handle these conditions. It vents well, the liner is moisture wicking and removable. 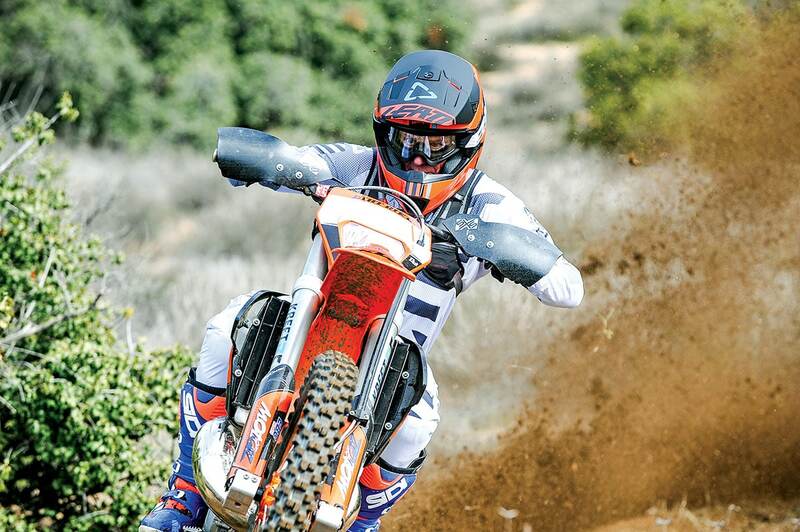 It feels a little confining, as the chin bar is close to the face, and in tight, cold enduro conditions the mouth exhaust bounces off the chin bar and goes straight to our goggles and caused some fogging. But, the bottom line with the Leatt GPX 3.5 is that it’s light, it’s fit with high-end safety technology, it’s comfortable and the price point is excellent.